This is the first of several articles outlining the myths and misconceptions of hypnosis and hypnotherapy. Sit back, take a deep breath and enjoy. And therein lies the distinction between the work of a stage hypnotist and a hypnotherapist. This is an important distinction, one that must be made clear to the uniformed public. The job of a stage hypnotist is to entertain. The job of a hypnotherapist is to heal. The public recognizes the similarities in process, but can fail to see the difference in goals and outcomes. The next concern that typically arises, also based within this distinction, is the potential client’s concern that they will not remember anything. This is a common misconception of what hypnosis is and the purpose of a hypnotherapy session. This is an illusion. It is also a detriment to the practice of hypnotherapy. Let’s pretend that you are on a cruise. After dinner, you go to the theater to see the night’s entertainment. It is a hypnotist. For the sake of this illustration, let’s assume that you are shy, but you have an interest in hypnotism, so you decide to sit and enjoy the show. The entertainer picks you out of the crowd to come to the stage. You are there for fifteen minutes, but do not remember a thing; only a few seconds seem to have passed. If you were on a stage acting foolishly, would you want to remember it, particularly if you tended to be shy and reserved in your public life? Probably not. You’ve written a story for yourself that says you do not like to be the center of attention. Yet you volunteered to go to the stage. Why? Do not say, “Well, he picked me out of the audience. I had to go.” No, you did not. You chose to go. You were in full control of your choice to sit in your chair or walk to the stage. You chose to walk to the stage. Because inside of you is a desire to be recognized. It is a common, and necessary, part of the human psyche. We all crave some level of attention. Yet, we write stories for ourselves based on our experiences that tell us we do not deserve or do not want that attention (or the trappings that may come with it). On stage, the hypnotist, with your consent, connects with your subconscious mind and allows that inner-performer to come out and play. That’s great, but does it have a long-lasting, positive effect? If you are told that you will not remember anything that occurred onstage, probably not. When you get back to your seat, your friends will tell you about all the crazy things you did while in hypnosis and, in your conscious mind, probably become just a little frightened that you acted out in this way. You go home and either you or you friends recount the story to more people who think that you were under someone’s control. They decide write off hypnosis as a scary proposition because they want to always be in control of themselves. The goal of hypnotherapy is for you to reframe and remember the changes that you are making to your story. I work with my clients based upon an agreement that we make to each other. My clients come to me to change something about themselves. We agree that we will work together to address their issue and resolve it. This is a key difference between entertainment and healing. I am here to help my client, not entertain the rest of the room. As a hypnotherapist, my job is to promote healing, long-lasting healing. Healing that occurs when the deep, inner, negative belief that my client holds about themselves are reframed, released and turned into positive beliefs. At the end of every session, as part of my de-hypnotizing process, I give my client the suggestion that they will remember the entire session. To me, it is disingenuous to do otherwise. My clients come to me to change something that they don’t like in their life. For the best results, at the end of our session(s) they need to remember how they reframed that issue and how they are going to move forward with a positive outlook. 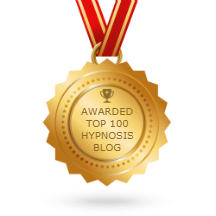 What are your thoughts or experiences with hypnosis and hypnotherapy? Write to me at daniel@danielolexa.com or call me to book a session. I promise you will not feel foolish afterwards.